There won’t be a third season of cable’s Good Behavior TV show. The con artist drama series has been cancelled after two seasons. Airing on the TNT cable channel, Good Behavior stars Michelle Dockery as thief and confidence artist Letty Raines. The cast also includes Juan Diego Botto, Terry Kinney, Lusia Strus, Joey Kern, Nyles Julian Steele. Although Letty always gets what she wants, in regaining custody of her son, Jacob (Steele), she nearly lost her love — the assassin, Javier (Botto). The series debuted in November 2016 and aired regularly on Tuesday nights. In the ratings, the first season’s 10 episodes averaged a 0.19 rating in the 18-49 demographic with 742,000 viewers. 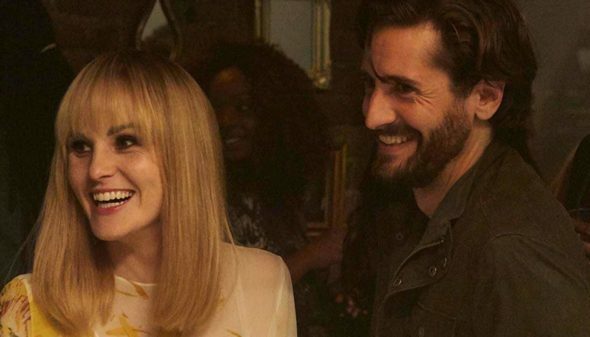 Despite the fact that the Good Behavior TV show had some of the lowest ratings of any original scripted drama on TNT, this seductive thriller was renewed for a second season. The cable channel opted to air the second season on Sunday nights and the ratings didn’t improve. Season two averaged a 0.16 demo rating with 595,000 viewers. That was down by 15% and 20% when compared to season one. The second season finished airing in December 2017 and TNT has confirmed that will be the end of the series. What do you think? Do you like the Good Behavior TV show? Do you think it should have been cancelled or, renewed for a third season? Loved, Loved, Loved this show!!!! Bring it back! Bring it back. Talk to Ted Turner! This is a terrific show. Very different. Interesting themes. Runs the spectrum from very sad to very funny. Excellent cast. Great writing. A very fabulous leading lady who looks beautiful in whatever she wears. A handsome and talented leading man. Great supporting cast. Definitely. Bring it back! HOW COULD THEY CANCEL THIS SHOW? THEY LEFT US HANGING, NOT KNOWING WHAT HAPPENED . I LOOKED FORWARD TO WATCHING THIS EVERY WEEK, VERY DISAPPOINTED TNT!!!! My wife an I really loved the show, was very disappointed in TNT CANCELING IT…. I am so disappointed that this show ended. It was my favorite. It wasn’t a typical show that’s what made it so great.